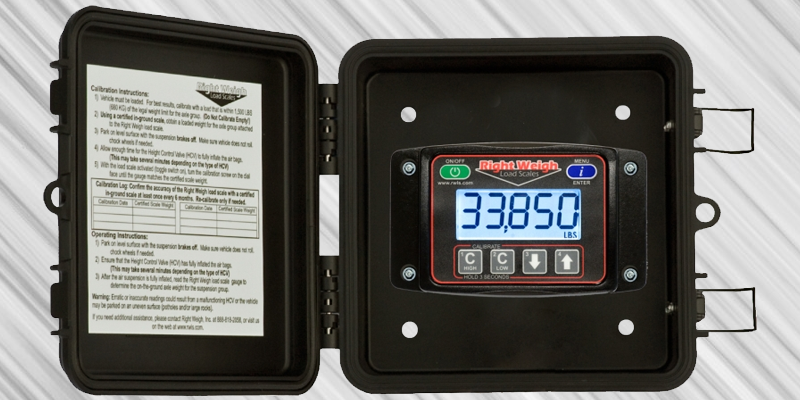 Right Weigh Inc. has announced the launch of its first digital onboard load scale, the new E-Z Weigh scale. The announcement was made in conjunction with the Great American Trucking Show under way here. The new E-Z Weigh scale monitors the weight of any single, tandem or tri-axle group of an air suspension straight truck, tractor, or trailer, according to Scott McCulloch, director of communications. Measuring and reading on-the-ground weight in pounds and kilograms, these weather-tight digital gauges are intended to withstand extreme temperatures and inclement weather conditions, allowing for exterior installation, he said. The E-Z Weigh’s design incorporates a simple two-point calibration process, ensuring accurate weight readings within at least 300 pounds or better.